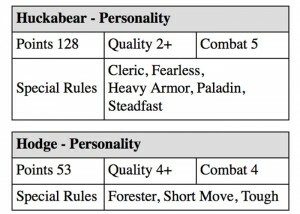 I present to you Huckabear the Paladin and Hodge, his faithful manservant. They’re statted for Lamentations below and for Song of Blades further down. Huckabear (as created and described on Blog of Holding) is a powerhouse and paragon. 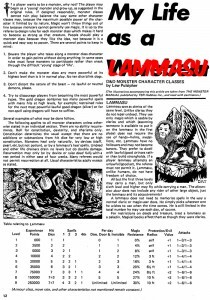 I made him a Paladin in my campaign by adapting the article at Knockspell 1, pg 18 and this thread on the Lamentations forum. Gear: Two-handed sword, broad sword, full plate, shield. Skills: Bushcraft 4, Search 4, Tinker 3. Gear: The top half of a suit of plate plus pretty well everything else on the list. The figs are Reaper and Citadel. 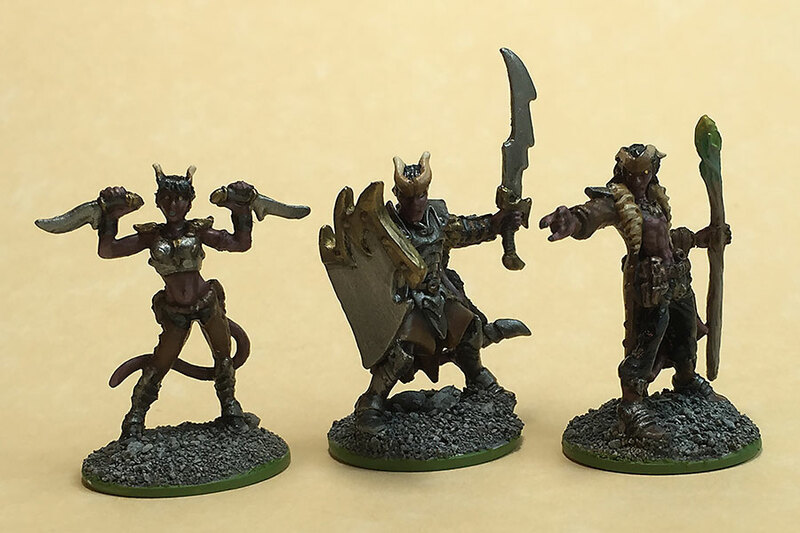 All are Reaper Bones figs. You can find them here, here and here. I rolled their ability scores using the Dicenomicon, my goto for not-dice. Skills: Climb 2, Search 2, Sleight of Hand 2, Sneak Attack 3, Stealth 3, Tinker 3. 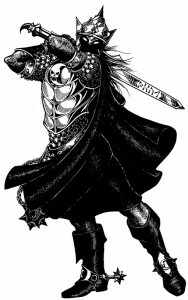 Gear: Dagger (x2), leather armour, spec. tools. Gear: Sword, dagger, plate mail, shield. This spell causes the feet of the target to grow searing hot. The victim must hop quickly from foot to foot or suffer painful burns; this action makes normal movement impossible. While hopping, any bonuses due to DEX are negated and attacks by the sufferer are at a -2 penalty to hit. Spells may not be cast while hopping due to the exertions and contortions involved. Failure to hop will inflict 1d3 damage per round. A flaming orb 2 inches across shoots from the wizard’s palm, dealing a 1d8 fire damage. A successful to hit roll is required. For every two levels past 1st, another orb may be launched, to a maximum of five; roll to hit separately for each orb. A disc of flame and force takes shape upon the wizard’s arm. The Blazing Shield grants AC 20 against missiles and AC 18 versus melee strikes. The shield’s force also blocks incorporeal undead’s touch attacks. Natural attacks (i.e., claws, teeth, &c.) against the shield suffer 1d6 damage per strike (save negates). Any attacks which do hit cause two less points of damage than they normally would. The spell makes a combustible object or a creature’s combustible equipment burst into flame, even if damp. If the target is a creature’s gear the initial eruption causes 2d6 damage +1 point per caster level (maximum +6) with no saving throw. Further, the creature must then make a saving throw or continue to burn per the Oil and Fire rules on page 60 of R&M. If the target is an object it takes damage as indicated then automatically continues to burn per R&M. If the object is held by a creature, fire damage as indicated is caused but a save halves it. 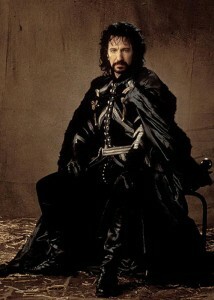 The spell creates total impenetrable darkness in it’s area of effect. Darkvision is useless. Neither normal nor magical light will work except for Light or Continual Light spells. This spell and a Light spell will negate and counter one another. 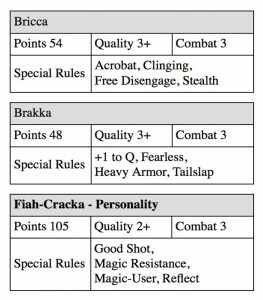 The Special Rules show the four Level advances I gave each fig (per my Song of 3d6-in-Order). Brakka’s Quality was improved from 4+ to 3+ with the listed +1 to Q. Both Lamentations and Song of Blades being magic item-light games I decided against giving them any. When I was twelve or so I attended Trumpeter‘s annual Salute gaming convention. That year it was held downtown in conference rooms at Robson Square near the Law Courts. And I played in one of the most enjoyable games I’ve ever encountered. It was a PvP (Party vs Party) game of AD&D. 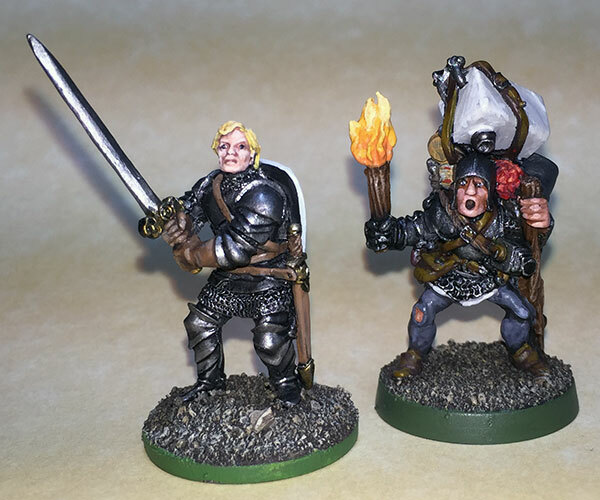 It was D&D as a tabletop wargame. On one side was a group of good-aligned characters and creatures; the other side was a gang of evil-aligned characters and monsters. The Host DM handed out pre-gens to everybody first-come-first-serve. 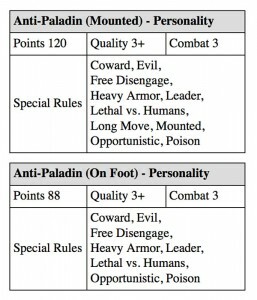 I remember the good guys had a Paladin, a Ranger and a Magic-User among others. I played a Cleric. The bad guys included a half-orc Assassin, a Wyvern and a mid-sized Red Dragon, plus other cruel bastards. There was something like fourteen players. It was fun watching some of the guys flipping through their Players Handbooks for stuff while across the table others were paging through the Monster Manual for their info. The table was a good six-by-nine feet of woods over gentle slopes. Our objective was to find a cave and get a team inside to secure something against the forces of darkness. But that never happened because the two groups ended up in a running battle through the trees and hills. That half-orc Assassin hopped on the Wyvern and they rained blue murder on our guys. At one point every clearing had a fight going on in it. Like ‘Nam but with Dragons instead of Cobras! As you can tell from the foregoing I’m a big fan of rival-party abattoirs. I’m an equally big fan of the 4th-to-7th range band of Levels in D&D, capable but still hungry. And I’m also a large fan of the skirmish minis game Song of Blades and Heroes. 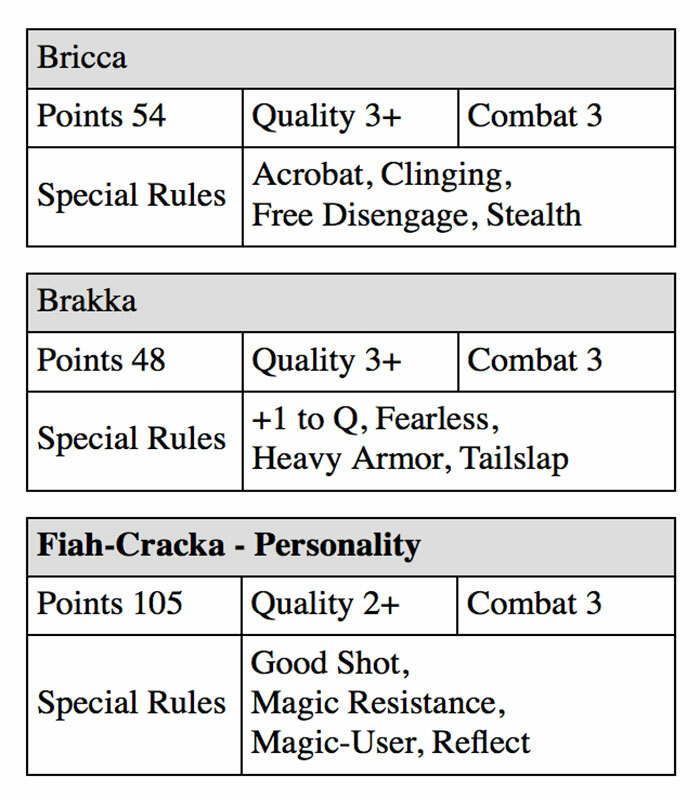 I go through two steps to create D&D groups for PvP games of Song of Blades. Each character with 2 or 3 useable magic items (one per two Levels, round down). Multi-classed characters should be considered as their highest Level plus 2. 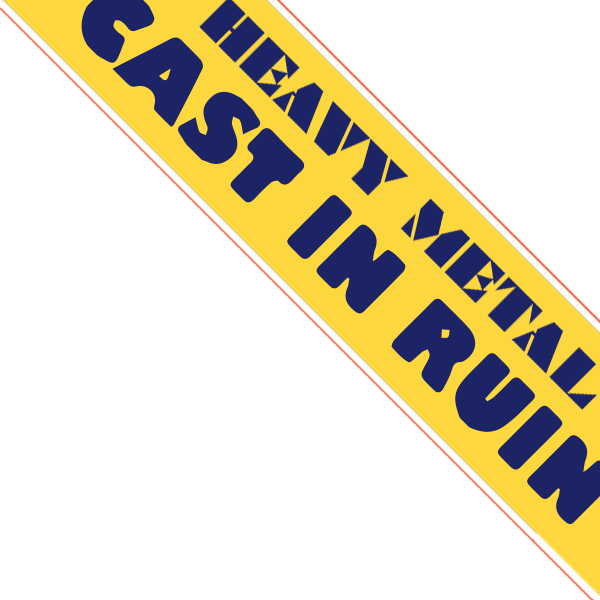 Any or all characters may be replaced with creatures or monsters of similar strenghths. The D&D classic The Rogues Gallery (see here, here and here) is great for banging out parties like this. 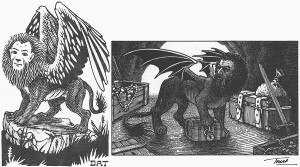 Ahem, as I was saying, if I’m going to include a creature or monster in the game I first see if I can find one already statted for Song of Blades. If I like what I see I use it. 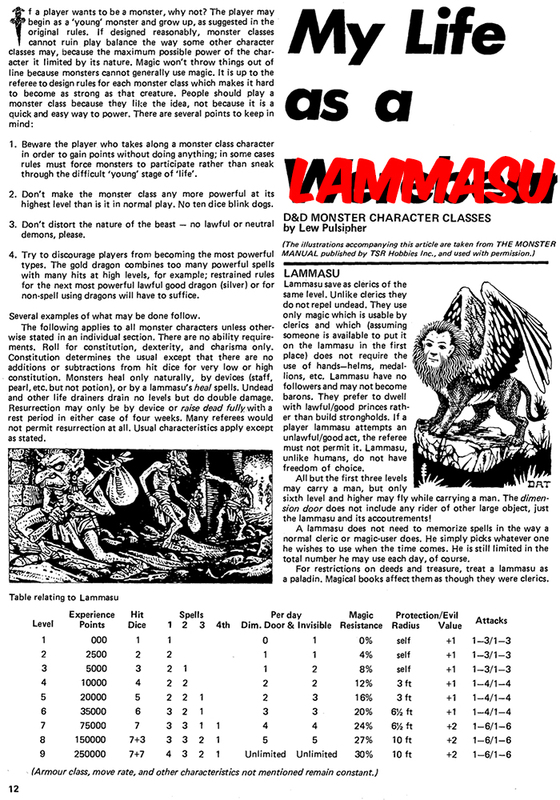 If I don’t like the as-is version I put on my character goggles and treat D&D Hit Dice as Levels; then I run the critter through Song of 3d6-in-Order. 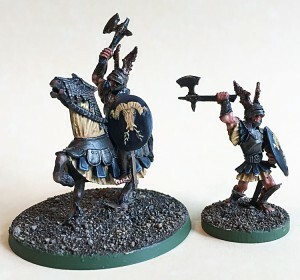 When I was a kid I spent a good number of months rolling up these bad guys and their retinues. I’d map out their castles, which were always skull-shaped and carved into the living rock. I’d imagine them at their scheming best. Life was good. 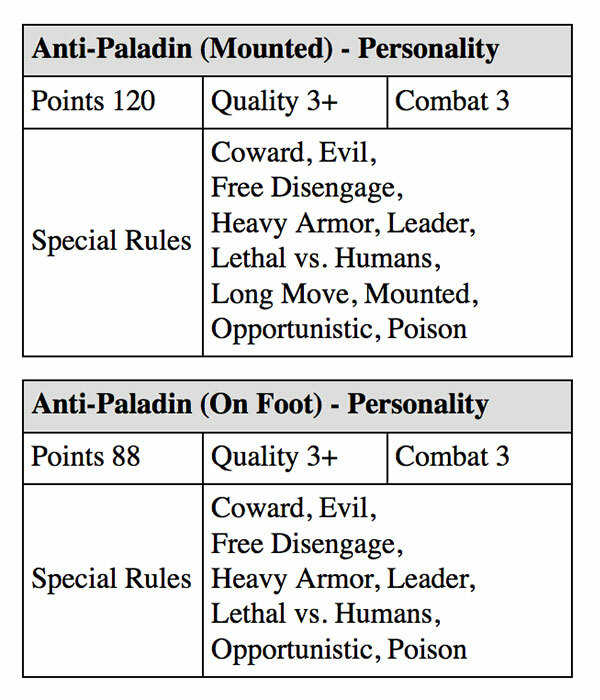 My favourite thing about this first and best version of the Anti-Paladin is that he’s not simply an evil Evil Paladin. He is quite literally anti. Yes he’s all about the Chaos and the Evil vs. Law and Good. Sure he’s that. 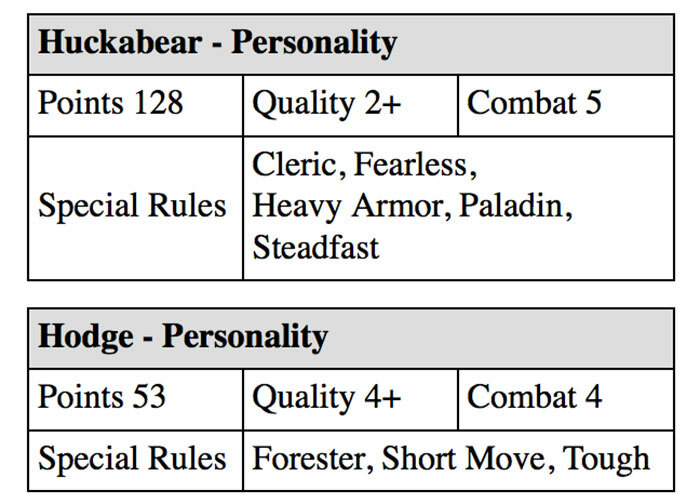 But what brings him to life for me is that, while Huckabear (my goto Paladin) is morally impeccable, steadfast and true, the villain pictured above is a sleazy weasel and a coward at heart. Basically Count Rugen. Beware the mediocre man with a singleness of purpose. Those are mine, painted in Sinestro Corps colours (because obviously). I like how he wears his heart on his sleeve; all that yellow goes right to the bone. To be fair though, I do like the Anti-Paladin as written in Knockspell 3. It’s a couple steps toward Warrior of Chaos but it channels enough Dragon 39 to keep me happy.